So you took the plunge and learned to dive. You took your first breath underwater and started to explore the seven tenths of the world that had previously been hidden from you. Your local dive shop then introduced you to a range of other underwater activities – night diving, wreck diving, search and recovery. Maybe you’ve even done a rescue course and a few specialty courses. So what’s next? 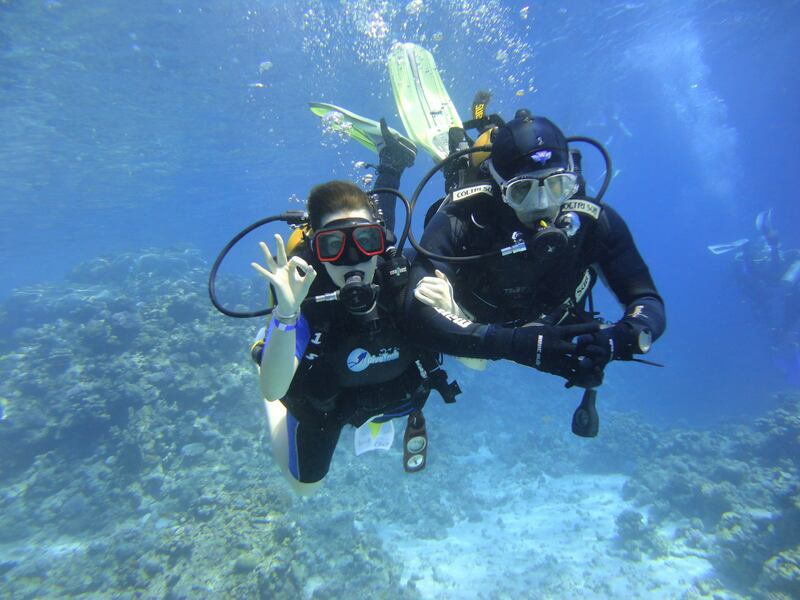 For many enthusiastic new divers the natural progression is to start helping the instructors, to become a divemaster and maybe even an instructor. This is the route that most of the main recreational training agencies offer. But not everyone wants to become an instructor and if you are not passionate about teaching then it is not something you should pursue. Specialty courses are great introductions to new areas of diving, but what if you want to go further? Maybe a technical diving qualification is the answer for you. First coined in the early 1990s the term ‘technical diving’ is used to cover everything that isn’t either recreational diving or commercial diving. Decompression dives, dives deeper than the normal recreational limits, mixed gas dives and dives in an overhead environment e.g. caves, wrecks and ice are all generally classed as ‘technical’. Clearly there is an overlap between recreational and technical, but as a rule technical diving is usually associated with a greater level of dive planning, additional diver skills training and more diving toys, which is the best bit about it for some people. I have introduced lots of people to technical diving through various different courses and one of the things I always ask at the start of each course is why have they signed up for the class? There are many different reasons for taking a technical diving class, but certain themes are common. “I love diving on the outside of ship wrecks and now I want to go inside.” Entering an overhead environment may be a daunting prospect to some but to others it is hugely exciting. It is both a mental and physical challenge, with dives becoming increasingly more complex the further in you penetrate. There is often more history inside a wreck where it is protected from the elements, as well as also a lot of life. In fact the biggest crayfish I have ever seen have all been inside wrecks. “I want to see what lies below 30-40m.” Going deep is easy, it is the coming back up safely that is the hard part. Air is always going to have limitations for deep or long dives, due to decompression obligations and the narcotic effect of nitrogen. Switching to alternative mixtures is the only solution and as you go deeper switching between different gases becomes the norm. However, whilst this is a relatively simple process it carries with it a risk not encountered in recreational diving – breathing the wrong mix at your given depth – hence why you need training. “I want to improve my skills.” Some people just love learning and getting better at their chosen sport. Due to the greater challenges encountered on technical dives, technical diving instruction places far more emphasis on diver skills and technique, so courses are great places to get constructive feedback and tips which will help you during all your dives. E.g. You can be taught to use your fins to go backwards – a skill perfect for photographers. As mentioned above but often not admitted is another reason – a love of toys. There is no doubt that over time technical divers amass a lot of toys. Twin tanks, stage bottles, argon bottles, multiple regulators, scooters and so it goes on. There is a reason why the ‘Big Boys Toys’ exhibition is wildly popular every year – for some technical diving is just another extension of this. Finally as I said at the start of this article, maybe you just don’t want to go the traditional route of becoming an instructor. In fact it’s not uncommon for divers to follow the “normal” route only to find that once they become instructors, instruction by itself is not enough. A significant proportion of my students have been open water instructors looking for a break from recreational diving. Instructors also get the additional benefit of an improved skill set to take back to their recreational classes. OK, so you’ve now decided that you want to do a technical class – what do you do? At present there are only a handful of technical instructors operating in NZ, but this number is growing. Your options for technical classes are also growing, with TDI, PADI and GUE classes all now available. My advice is to contact one of the instructors and talk to them about the various different classes they offer and how these fit in with what interests you. Maybe you want to do an advanced wreck penetration class, or an introduction to twin tanks. Maybe a cavern class or an introduction to decompression diving. All of these are possible and all will open up new areas of the underwater world. As for the fabulous technical diving opportunities that await you in New Zealand: To start with we have one of the largest and most intact ship wrecks in the world – the Mikhail Lermontov – which attracts divers from around the globe. Then we have one of the deepest and most challenging cave systems currently being explored in the southern hemisphere – Pearce Resurgence. We also have many deep reefs scattered around our coastline, providing every conceivable depth you could wish for and the life and visibility to match. We have the huge and virtually untouched wilderness areas down south that are just begging to be explored. And we still have lots of wrecks that haven’t been located, or if they have then they’ve hardly ever been dived. I’m tempted to say that if none of this appeals to you then you should take up knitting. All of us when we did our initial open water training will have been told by our instructors that we only have ourselves to blame if we become bored of diving. As a student I didn’t really understand what they were talking about, but now as an instructor I do. Too many times I’ve seen divers take a class, do a few dives and then drift off to seek other challenges. Diving offers more than enough challenges, if only people knew about them. Even worse is when so called experienced divers state that they’ve seen everything. I’ve dived in dozens of different countries over the last 20 years and I still have a huge list of things I still want to see and experience. Here in NZ we are extremely lucky, with access to an incredibly diverse range of diving right in our own backyard, so if you are bored with diving then you do have only yourself to blame. If you haven’t felt the burning passion for diving that you felt during your first few dives then maybe it is time you started looking at technical diving. All that is holding you back is your desire and the limits of your training. I can’t do much about your desire, but I can offer you the training.